The United States has one of the most convoluted higher education schemes in the world, in terms of both tuition and required graduate study. It took me three years of saving and moderating spending to pay off my law school loans with post-tax income. I consider myself extremely fortunate to have no college debt due attending Drexel University on a scholarship and thus being able to focus on repaying graduate loans only. Although I eventually made my way out of debt, there is a fundamental problem with the American education system, which continues to burden hard-working, low-income and middle-class families. Graduate Study Outside the U.S. Although we are used to the idea of obtaining a college bachelor’s degree immediately after high school —as a possible precursor to further graduate study —this system is not universal even in countries with a comparable quality of education. Rather than spending four years on a degree that will only be subsumed by an additional graduate degree spanning from 2-7 years depending on the field of study, other countries incorporate a program leading directly to one’s chosen vocation. For example, in the U.K. students pursue an undergraduate legal program, such as an LLB (Bachelor of Laws), which takes only three years to complete. From there they will complete a one-year practical training course, and will then transition into a trainee position directly with an employer. The amount of time lost on a degree is one systematic problem of American higher education. One would think that given the prolonged degree process, at least tuition would be lower? Of course, that’s not the case. The average cost of attending college in the U.S. is around $25,000 for in-state public colleges, and a whopping $50,000 for private colleges. Our neighbor, Canada, offers comparable high-quality education, especially at world-renowned universities such as McGill in Montreal and the University of Toronto. McGill offers Canadian students annual tuition at the rate of $7,227 (CAD) (~$5,797 USD) and the cost is even lower at the University of Toronto (~$5,286 USD). Let’s not forget to tack on the cost of graduate school in the U.S., which far exceeds that of any other country and has exceeded our rate of inflation. The average cost of a private two-year MBA program is around $150,000. The median cost of a four-year medical degree is an astronomical $280,000. A three-year J.D. from a top law school, which is lamentably necessary to place at a high-paying firm, costs around $180,000. Law students incur crippling six-figure debt of over $150,000 from both lower-ranked and prestigious schools such as Georgetown and NYU. Over 50% of graduates ineach of these institutions are saddled with debt. These are costs that do not even exist within the higher education system elsewhere. Annual legal tuition in the U.K., already limited to the single-tier Bachelor of Laws requirement, is around $20,000. As British lawyers must complete a trainee period as part of their vocation, their education costs are somewhat offset by their trainee salaries — a paid externship of sorts. By contrast, law students in the U.S. will only typically get a paid summer internship with a law firm in the summer of their second-year of law school. That’s after the four years of college and two years of law school, by which time they have already amassed an inordinate amount of debt. 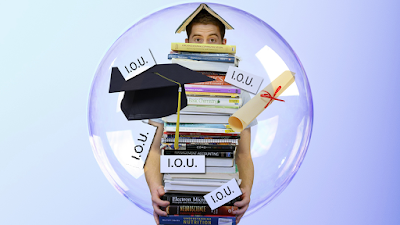 Borrowers owe a staggering $1.4 trillion in student debt —exceeding the national credit card debt by $620 billion —and most is in the form of government-backed student loans. Proposals to consolidate J.D. programs have been met with surprising pushback. One popular suggestion, encouraged by President Barack Obama, is to reduce the traditional three-year J.D. program to two years. This makes sense to the many law students who “check out” in their final year of law school. By that time, they already have a job offer lined up. There are also no required classes beyond the core first-year courses (contracts, torts, criminal law, civil procedure) that are tested on the bar. The few remaining requirements can easily be met in the second year. By the third year, students fill their time with elective courses such as Sports Law or Law in Hollywood. These are fun classes, and some electives do offer the opportunity to focus on niche areas. However, they are nowhere near worth the hefty $60,000 price tag to study (IMHO). From personal experience, reducing law school to two years of required study, with perhaps an optional LLM for those wishing to specialize in the third year, would be reasonable. But law schools have no incentive to implement the reforms when doing so would cut into their tuition revenue, comfortably prepaid by student loans. The government makes a business out of student loans. It took over the student loan business from the private sector by rolling up funding provisions into budgetary reforms that passed alongside the Affordable Care Act in 2008. Student loan interest rates are set by Congress and are tied to the auction of 10-year Treasury notes. Qualifying graduate students were initially eligible for federal loans in which interest was subsidized while in school. However, as part of budget cuts, the government eliminated the graduate federal subsidy program as of July 1, 2012, which was estimated to save the government $18 billion. The fixed interest rate on graduate student loans ranges from 5-7.5%. Although payment is deferred while in school, interest keeps accumulating. As fundamental as education is, one would expect that the costs of obtaining a degree would at least be deductible. The tax code allows for the deduction of expenses necessary to uphold one’s vocation, such as licensing fees. These are usually trivial costs associated with application fees and trainings. Wouldn’t it make sense to allow deductions for education expenses? After all, a degree is a requirement for virtually any job nowadays. The tax code throws us a bone by permitting the deduction of only the interest payments on student loans. Compare to the provision permitting deductions for the entire principal of a mortgage, not just the interest payments. Undoubtedly, the tax code is antiquated and incorporates policies favoring more traditional lifestyles. (Such as permitting mortgage interest deductions, but not rent payments. Let’s also not get into how jointly-filing married couples are favorably treated). To add insult to injury, there is a cap on the total amount of annual interest payments that may be deducted: $2,500. In reality, tax savings for education expenses are reserved for wealthier individuals, who ironically, would not have as much of a need to save on taxes after completing a degree. 529 plans are state-sponsored investment vehicles offering tax benefits for future higher education expenses. A 529 account allows for the deductions of contributions at the state tax level, and maintains the funds and any returns in tax-free status. If withdrawals are made for qualified higher-education expenses, such as for tuition payments, books, and campus housing, the payments are ultimately tax exempt. A Government Accountability Office report issued in 2012, used in support of arguing for repealing these tax breaks, estimated that 47 percent of those with 529 plans had incomes over $150,000, while their median assets of $413,000 were 25 times higher than the median of $15,400 in assets for families without the plans. The ultimate financial beneficiaries of a 529 accounts tend to be wealthier families: Saving in a 529 with a state tax deduction would result in 22 percent more money for a low-income family, 35 percent more for a middle-income family and 39 percent more for a wealthy family. The plan also allows contributors to circumvent the annual $14,000 gift-tax exclusion by front-loading 5 years’ worth of contributions at once, which would be $70,000 or $140,000 if contributed by a couple. This scheme relieves some of the burden, but is primarily an ex ante tool for those who have enough resources to engage in wealth planning. The 529 program does not work retroactively —i.e. the account cannot be used to repay loans already applied for tuition. Those who cannot afford education in the first instance continue to be saddled with debt with no tax exemption mechanism available to offset the burden. As part of an effort to cut tax breaks for the wealthy, in January 2015 President Obama (the Obamas famously took advantage of the 529 program in 2007 by front-loading $240,000 to fund their daughters’ education) attempted to repeal the tax cuts offered by the 529 plans with the overall purpose of using the savings to offer a tax credit accessible to all families. After meeting surprisingly strong opposition from both sides of the aisle who each vouched for protecting the interests of the “middle-class,” the proposal was dropped. There have been some efforts to remove the ex post limitations on education spending by expanding the deductions available for student loans. For example, a bill was proposed in 2015 to remove the deductible interest cap, but the bill is still pending in Congress with no optimistic prospect for passage. In a way, tax reforms address the symptoms but not the root of the outlandish costs of higher education in the U.S. Significant reform is necessary at the institutional level, which would require the private education enterprises to place fundamental education principles above profiteering. In turn, the career system will eventually need to catch up with modern trends of unorthodox career paths, and be accepting of a more diverse array of skill sets acquired outside of the institutionalized, expensive educational settings. *Sources are hyperlinked in the text. This article reflects personal opinions only, and is in no way intended to be construed as legal advice. Education should be on lower cost for every student. It is the right of every student. In U.S.A govt should cut taxes on education. Apart from United States other countries like Canada offers high quality education in world class universities. But students can go for higher education through online training. TypicalStudent.org will fulfills your requirements. Bridging loans can be arranged for any sum between £25000 to a few million pounds and can be borrowed for periods from a week to up to six months.